President Trump re-read his first statement made after the Charlottesville protests to highlight for the world just how much the media lied and distorted his comments. It was a very smart move that blew the roof the arena. 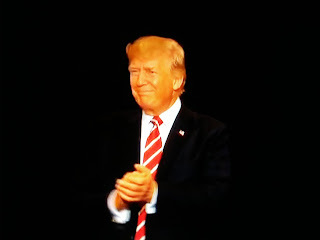 Fox News reports a defiant President Trump rallied with his base for more than hour Tuesday in Arizona, trashing the media over its coverage of his response to the recent violence in Charlottesville while criticizing the state’s Republican senators for not getting behind him. 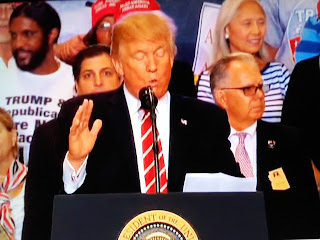 The president also signaled during the rally he could soon pardon Joe Arpaio, the former sheriff in Maricopa County famous for his tough stance against illegal immigration, ahead of the sheriff's upcoming sentencing.